Brand new surgical instruments must be cleaned before the first sterilization. 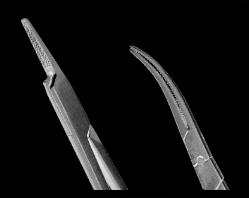 Hemostats Forceps must be cleaned in the open state. Before sterilization, when compiling the operation baskets the grid lock/ratchet should be closed only in first gear. 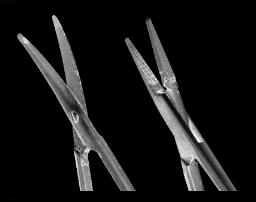 This will avoid that the instruments during sterilization (temperature increases to 134 °C) are under tension and stress fractures occur in the conclusion. Handover of instruments during operation will be improved. Sterilization is not a substitute for cleanliness!